Through the blessing of good genes and an active lifestyle, my blood pressure is very healthy and I don’t need to worry about salt restriction . 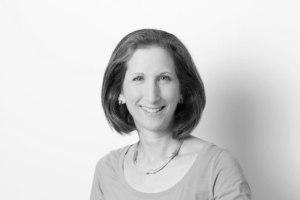 But many people do—and I frequently have salt-restricted friends over for meals. On those days, I go out of my way to make these meals flavorful without adding salt. 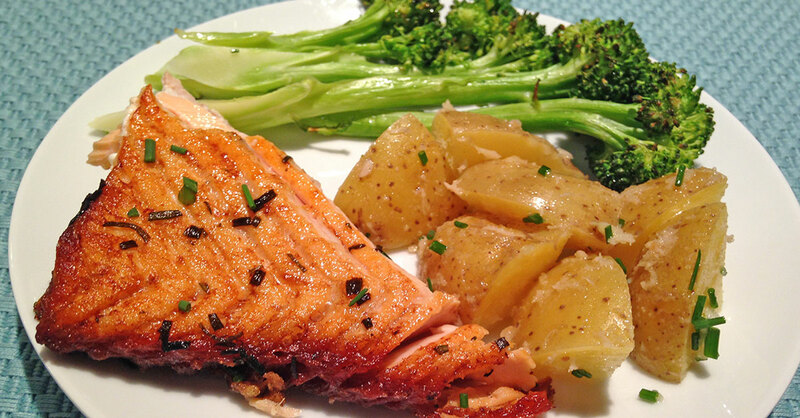 So…in honor of More Herbs, Less Salt Day, here’s a tasty meal for you that has absolutely no added salt: Broiled Salmon with Rosemary and Chives…Potatoes with Horseradish Sauce…Roasted Broccoli Paprikash…and Coconutty Broiled Peaches for dessert. 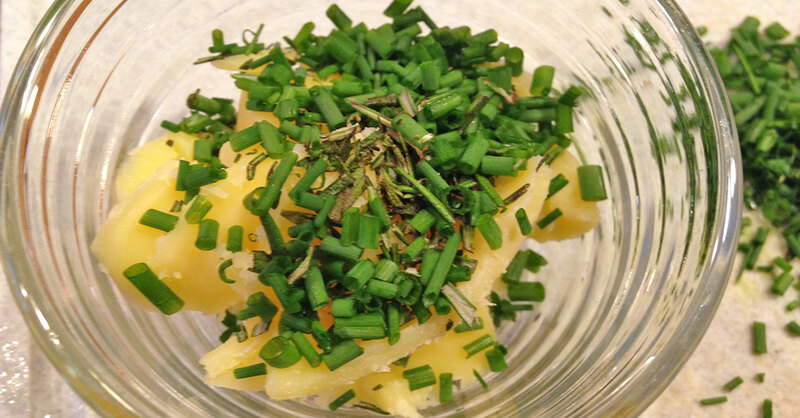 I have a lot of fresh herbs growing on my deck, so I used what I had in abundance—chives, parsley and rosemary. Feel free to substitute your own favorite herbs, such as parsley, basil and/or cilantro. A delicious appetizer to complement this meal would be my Herbalicious Zucchini Soup. (Be sure to use low-sodium or sodium-free broth). Let me know what you think! My favorite way to cook fish is in a cast iron pan where I start it on the stove and finish under the broiler. It’s so fast and much easier than trying to flip the fish to cook completely in the pan. Uses less oil, too. If the fillets are large, cut them into serving-sized pieces. I sometimes use a bag of frozen wild salmon that comes in serving-sized portions that I defrost in the refrigerator. If you do the same, open the packages over the sink (cut open using kitchen scissors) to drain out the accumulated water. Remove to a plate and pat dry with paper towels. Be sure to wash your hands well so you don’t spread fish goop (and germs) around the kitchen. Or wear disposable rubber gloves (my personal preference) and toss them when you’re done with this step. Melt butter or ghee in the microwave (about 20 to 30 seconds) or pour olive oil into a small bowl. Mince herbs and mix into the oil/butter/ghee. Add pepper if desired. Warm up a cast-iron skillet on medium-high heat (7 out of 10). Turn on your oven to broil. Place the oven rack in the second-highest position. Cook two to four minutes, depending on thickness, until the fish is cooked about half-way up. If you don’t have a stovetop-to-oven pan—or if you’re making more fish than will fit in one batch in the pan—transfer the fish to a broiler-safe pan. While the fish cooks in the pan, spoon herb mixture over each of the fillets. Put the fish under the broiler to cook for another two to four minutes (generally the same cooking time as on the stove) until cooked to your liking. I love boiled potatoes because (1) it’s fast, so I can easily do it on a weeknight and (2) it removes some of the starch without the added time of soaking. This is another recipe that I do without measuring—adjust the amount of ingredients to your taste and amount of potatoes you’re cooking. I’ve given you estimated starting amounts per serving. Serve warm or cold. Put potatoes into a pot and add water to cover generously. Boil until soft, about 10 minutes, depending on how soft you like your potatoes and how big the pieces. Use a fork to test doneness. You want them soft but not mushy. Note: If you prefer mashed potatoes, do cook them longer. You can use all of these same ingredients and simply mash them together instead of mixing, adding a bit of milk (dairy or non) to thin if desired. Drain potatoes and put into a bowl. If the horseradish contains added salt, use a small mesh colander to rinse. Use a spoon to press out excess water. 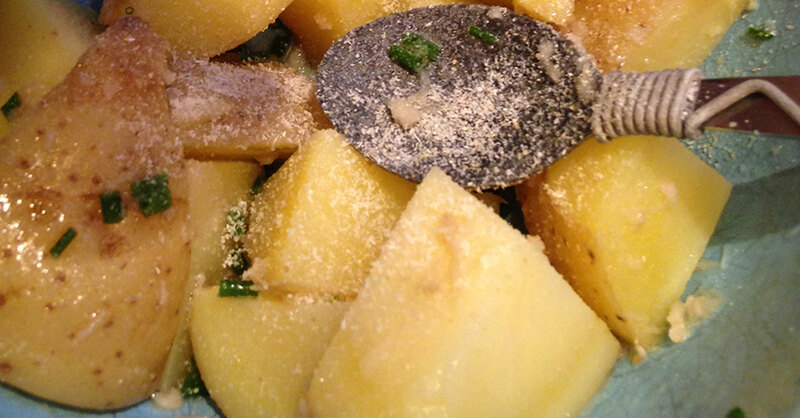 Add horseradish and remaining ingredients to the potatoes and mix gently to combine. Don’t toss the stalks! They are just as delicious as the florets when roasted. And, yes, another sprinkle-don’t-measure recipe. Cut broccoli into slender spears and place onto a baking tray. Note: I usually line the tray with parchment paper for easier clean up. It’s a bit of a puzzle to fit all of the spears onto the tray, but I usually can. 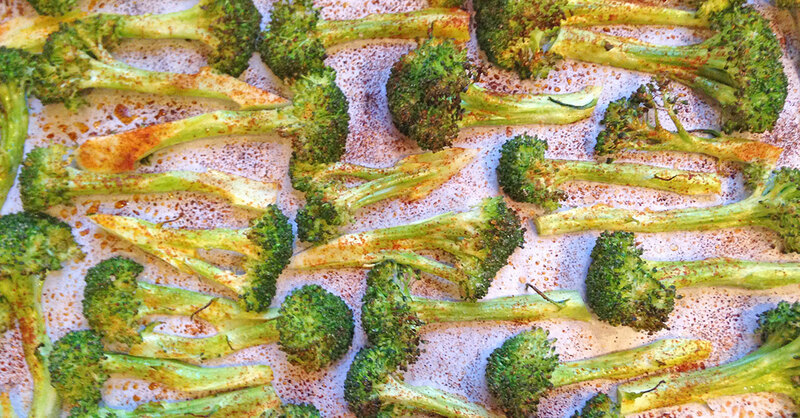 Lightly coat broccoli with olive oil spray. Sprinkle generously with onion powder, paprika and black pepper, if desired. Roast 10 to 15 minutes, depending on how crunchy you like your broccoli. Don’t let the florets burn! We had an abundance of peaches from a Sunday peach-picking adventure. 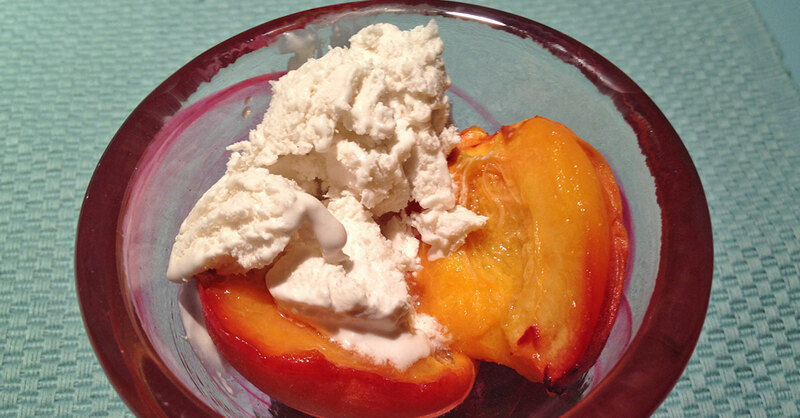 I really enjoy grilled peaches—it brings a nice depth to the fresh peach flavor. You could do this on the grill but I use the broiler because I usually have too many things going in the kitchen to be able to stay outside and tend the grill. I filled up a baking tray to ensure leftovers, which were delicious cut into my “go-to” breakfast of fruit, nuts and high-fiber cereal. Once again, no measurements in this recipe. Just cut, sprinkle, cook and enjoy. Sprinkle with Cinnamon or Allspice. I have one daughter who is allergic to cinnamon, and Allspice is a perfect substitute. If you want to be a bit more exotic, try cardamom. And if you like your foods with a kick, try adding a sprinkle of cayenne to the mix. The good thing about using a lot of peaches is that you can experiment with different flavors on different parts of the tray to see what you like best. Broil for two to six minutes, depending on the size of your peaches. The peaches should get a bit of a golden-brown hue, and the skins may get a bit dark at the edges. I always set the timer for two minutes, and then in one-minute increments after that to make sure they cook to the right amount without burning. If you didn’t remove the pits at the outset, let cool a bit and then remove. Serve with a small dollop of ice cream or Coconut Bliss in the center.